This was actually the Fourth of July. And, we didn’t do a lot. Most of our celebrating was done earlier that weekend. 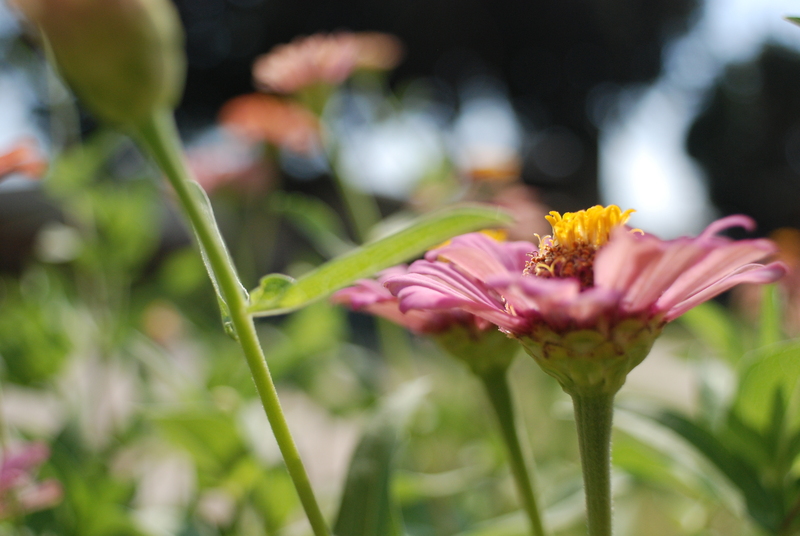 I played around with that new lens, the 24mm macro, taking pictures of our mailbox-garden zinnias. This (below) is currently my favorite photo. I think. 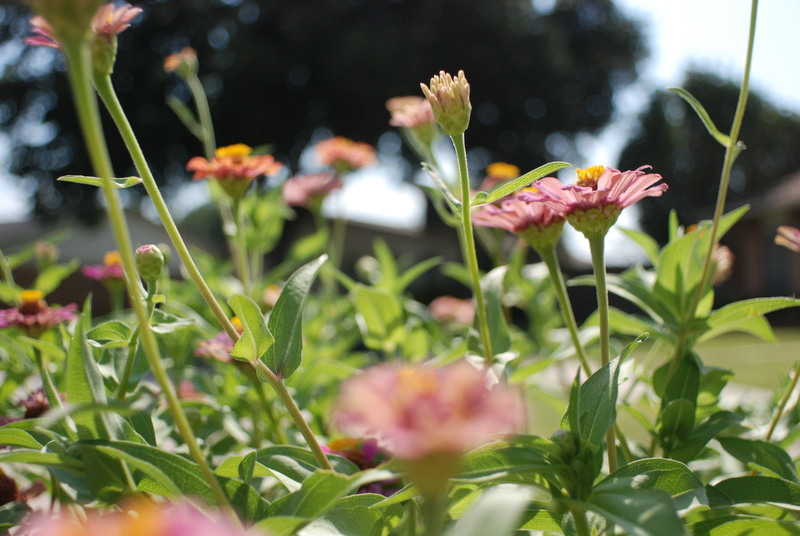 I worked in the morning, so I took these pictures in the afternoon. The sidewalk was super hot. 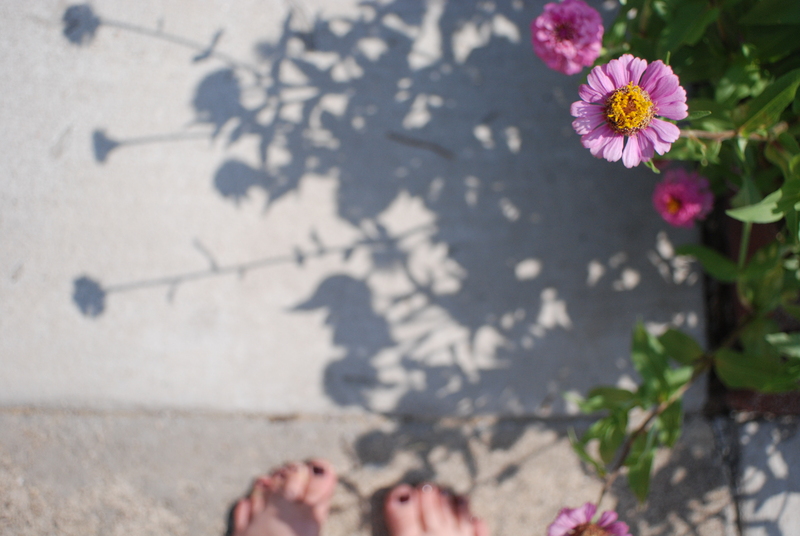 I didn’t go put shoes on, so my feet were burning off. 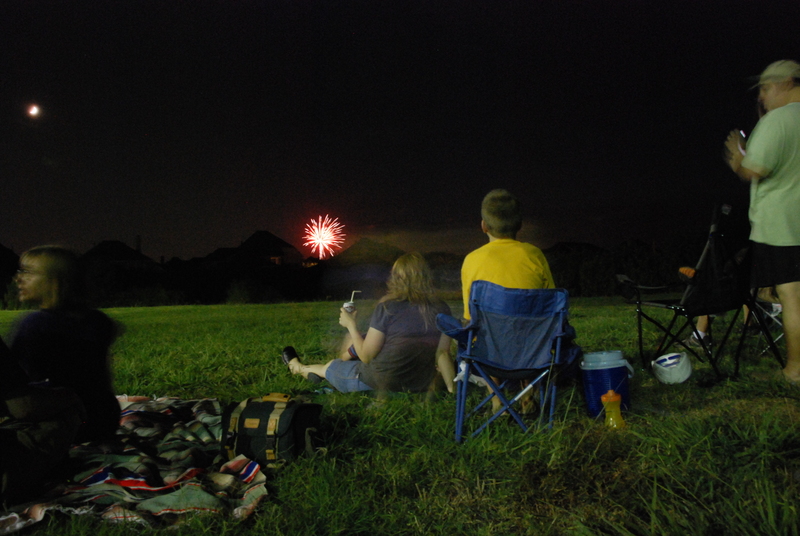 That evening we went to see more fireworks, the Castle Hills ones. This time we were much farther away, but some other friends ended up being there too.